"None of this will compromise safety, which will always remain our top priority." During Mayor Sadiq Khan's election campaign he called Transport for London "flabby". He said it could cope with a fares freeze that in effect reduced its income and engineering functions could be merged to save money.Those policies are now coming home to roost and TfL is now having to make efficiencies. 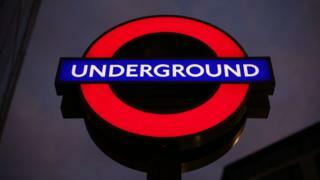 The unions say TfL is trying to save ?5.5bn by 2021. TfL has previously said the figure is ?4bn.Either way, that is partly the fares freeze, which costs ?640m, and partly the Government ?591m operational grant being phased out.Insiders say there has already been considerable belt tightening and trawls for redundancies. Forty-nine managers have left and there have been savings in duplication and agency staff.The big question is will more redundancies affect front-line staff and how Transport for London operates. And how will the Unions react? These policies come with a cost - now we will see if the Mayor was right.RMT general secretary Mick Cash said: "As part of the Mayor's efforts to slash spending by ?5.5bn by 2021 we are now being told that the company plans to cut up to 1,400 jobs in engineering in TfL and in some areas of LU. "RMT demands that no cuts take place, so close to the King's Cross fire anniversary. "It would be appalling if there was any hacking back on safety. "The Mayor needs to stand up for TfL and demand restoration of the full capital grant and proper central government funding for the Tube. "TfL said it was "undertaking the largest ever overhaul of our organisation to provide the most efficient and cost effective transport service for Londoners". "We have already reduced management layers and bureaucracy and merged functions in other areas to eliminate duplication and reliance on expensive agency staff", it said.